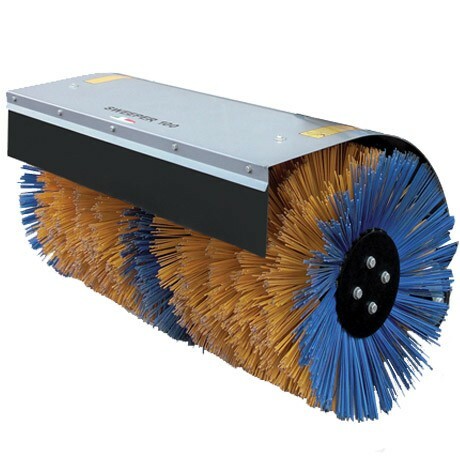 BCS Power Sweeper 30″ Brush can be used for a multitude of tasks including sweeping turf fields, asphalt parking lots, driveways, sidewalks, rooftops and snow. 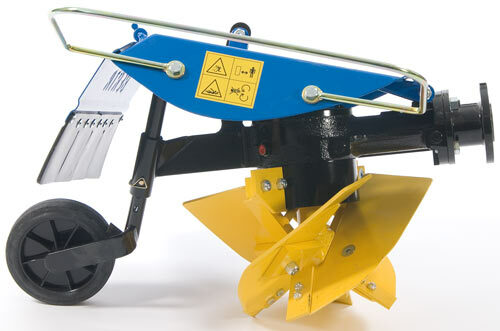 The angle of the sweeper can quickly and easily be adjusted during operation with a handlebar from the operator’s position. Two caster wheels on each side allow for premium maneuverability, and they can be adjusted to various heights with spacers. 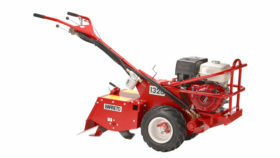 The sweeper follows the contours of the ground independently from the tractor with an oscillating swivel-joint in the mounting flange. Adjustible caster wheels allow for wide range of applications.